We all know very well that the well-known Chinese smartphone manufacturer, of course, I am talking about none other than Huawei wants to join the race being waged by the major smartphone brands, and will present its new smartphone with revolutionary new features in Barcelona, at MWC 2019. 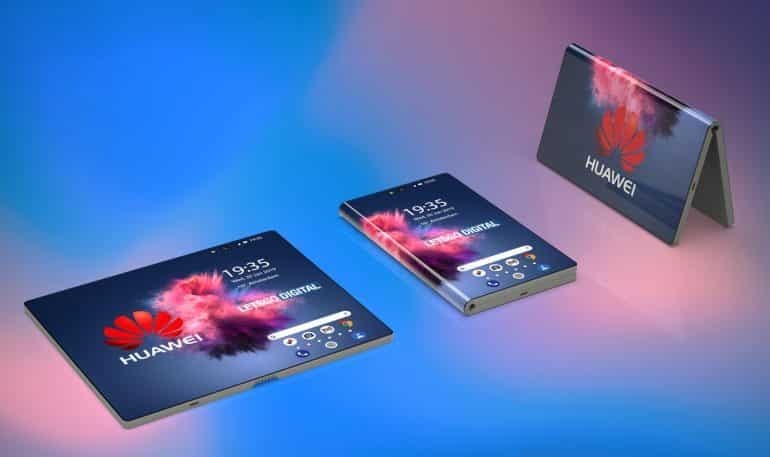 Yes, according to the latest reports, the well-known Chinese smartphone manufacturer, Huawei to launch its first revolutionary foldable 5G smartphone. The well-known Chinese smartphone manufacturer, of course, I am talking about none other than Huawei wants to join the race being waged by the major smartphone brands, and will present its new smartphone with revolutionary new features in Barcelona, at MWC 2019. The well-known Chinese brand, of course, Huawei has just published on its own official Twitter account an invitation for its next event, which will take place on the 24th during the MWC 2019 in Barcelona. In case we had any questions, the CEO of the well-known Chinese smartphone manufacturer, of course, Huawei has confirmed the arrival of the new device with a flexible screen of the Chinese brand itself. As the Executive Director of the well-known Chinese smartphone brand, of course, Huawei, Richard Yu has commented in an event that took place in Beijing that the company will present its flexible phone, which will feature 5G technology. Now, after the bombing that the CEO of the well-known Chinese smartphone manufacturer, Huawei released simply clarified that the brand has not been slow in advancing its technologies with new innovations. As recently, a well-known media platform have just published the first conceptual designs of this foldable smartphone. After a historic year for the well-known Chinese brand Huawei, this next MWC can mark the fate of the Chinese brand, since we will have the opportunity to compare Samsung’s flexible smartphones which is expected to arrive a few days before the MWC 2019. Now, what we will have to see is who will conquer the consumers market to make a radical change in the smartphone market. However, the fact is that at the moment, we can not confirm the name with which the well-known Chinese smartphone manufacturer Huawei will present its new foldable smartphone, but everything points to the name of this foldable smartphone of Huawei will end up being ‘Huawei Flex’ or ‘Huawei Mate Flex’. Anyhow, all our doubts will get clear at the next MWC 2019 which will take place in Barcelona and not only that even we will have to see if the well-known Chinese smartphone manufacturer, Huawei manages to meet the expectations of users or not. So, what do you think about this? Simply share all your views and thoughts in the comment section below.